The Apostle Paul wrote in the books of Romans that God has revealed Himself to every man. He teaches us that this knowledge is a result of creation and conscience. Because of this, every man is without excuse. (Rom. 1:18-20) Man’s rejection of God’s existence is not because there isn’t sufficient evidence. Rather, it is because he chooses to suppresses the evidence which exists. Why would man suppress the witness of God’s existence through the voice of creation and conscience? Because man wants to justify his immorality and sin, and the only way to quiet his innate knowledge and conviction of his sin requires drowning his conscience. This can happen in several ways, however, I want to discuss something different in this post. 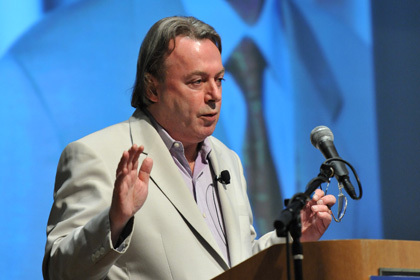 Christopher Hitchens died of esophageal cancer this week at the age of 62 in Houston, TX. Hitchens was one of the militant atheists who brazenly spoke against Christianity and those who believe it. He has become the hero and idol of thousands who use his caustic arguments for rejecting the Gospel. 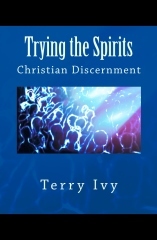 However, as certain as he spoke about his rejection of belief in God, in a rare moment of personal candor, we get to see the truth that, in the midst of his rejection, he could not fully suppress the innate knowledge which resides in every man. Watch this clip of Christopher Hitchens and you will see and hear that a man’s conscience, regardless of what he says, is ultimately on the side of truth! Did you hear it? Even Christopher could not make himself rid the truth of God’s existence from the world even if he had the chance to. Let us faithfully speak the “truth in love” to all men, even the hostile ones…their conscience is on our side. What about Christopher? Where is he now? Heaven or Hell? I can’t answer that as I do not know what happened those final minutes of his life, but if he held to his God hating proclamations, he is in hell. However, one thing I know with certainty… Christopher and every other man is without excuse! And the circle of idiocy is complete. You are a moron. Lewis, I appreciate that highly intelligent and substantive reply. (sarcasm intended) Obviously, you worshipped Hitchens as your guru and idol. He is dead and buried. I worship Jesus as my Lord….He was killed for speaking truth and buried in a guarded tomb. But today, He is alive! I pray you consider His death for your sins so you can experience true life and meaning, as you obviously have a purposeless life filled with anger and irrationality. But there is hope in Christ, for He died for you also! Open your heart to Him and you’ll never regret it, not in this life or the one to come. For like Hitchens, you too will die and be ‘without excuse’ if you reject Christ.